Muddle cucumber in a glass and add ice. Pour Flower Power Sour. 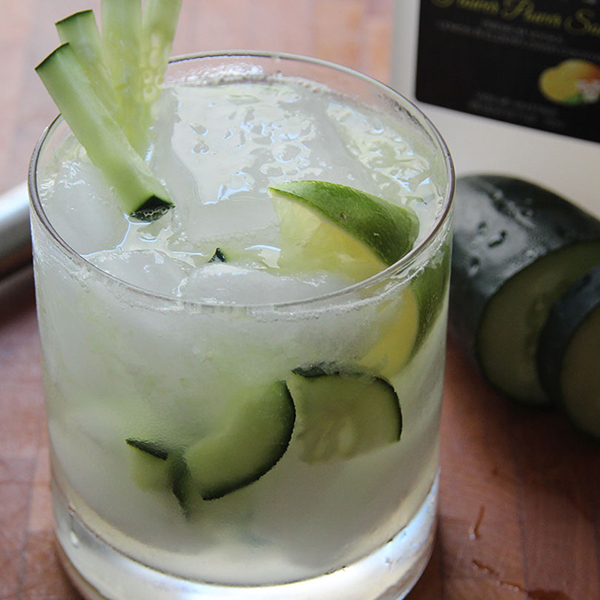 Garnish with cucumber slices and lime.